Our final New Music Monday edition for the Summer of 2014 features 3 recordings of Brazilian jazz, curiously it's the end of Winter in Brazil. We begin with a recording we had a sneak preview of a month ago when percussionist Sammy Figueroa was returning from Brazil after recording this CD and stopped by KUVO Talisman feature Sammy and vocalist Glaucia Nasser and an all star cast of Brazilian musicians. 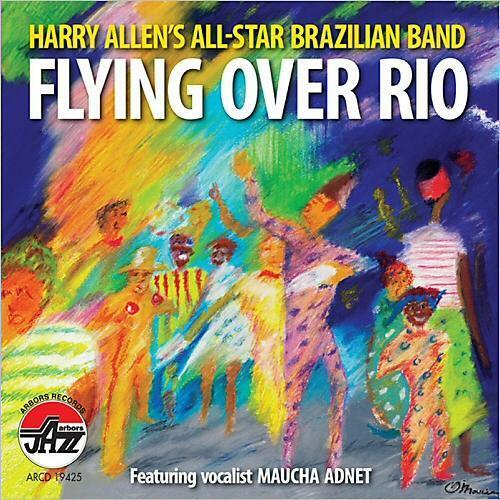 We also will debut saxophonist Harry Allen's All-Star Brazilian Band, Flying Over Rio which features classics from both the Great American Songbook and some of Brasil's best known tunes. 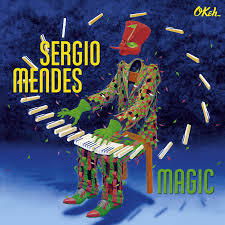 The last Brazilian spotlight falls on one of the first Brazilian musicians to make it big during the Bossa Nova movement of the early 1960s, Sérgio Mendes returns with Magic, featuring both US and Brazilian guest vocalists. In addition we will premiere the Colorado based label, Capri Records' newest release, it's by emerging pianist Larry Fuller teaming up with bassist Hassan Shakur and drummer Greg Hutchinson on a splendid self-titled trio date. Former Denverite, organ player Pat Bianchi is featured on the new John David Simon recording, Phantasm that also includes guitarist John Hart and drummer Lewis Nash among others. Tune in or log on Monday at Noon, Rocky Mtn. time to listen to these and other selections during Lunchtime at the Oasis hosted by yours truly, Arturo Gómez.